This banner frame comes in three different configurations: Double, Triangle and Four-sided (Quad). It is easy to assemble, store and ship. The metal frame is very strong but relatively lightweight. Comes in sizes 4' to 20'. Units above 12' need a 4" oval cut in the middle of the banner for center support. 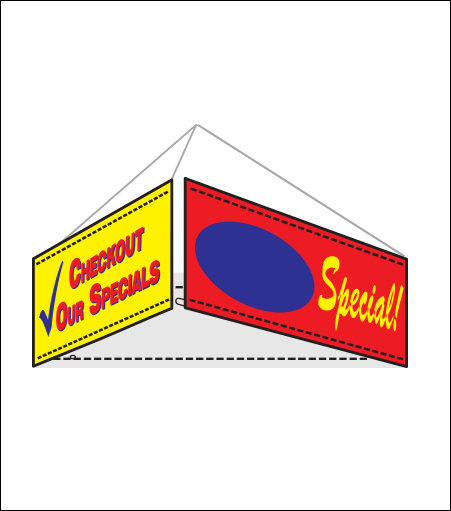 Recommended banner construction 3" sleeves top and bottom banner lengths should be 1" less than the unit length.